When you right-click inside of Gmail on a desktop computer, you get only a few options: Archive, Mark as Read, and Delete. With an update that is rolling out now to G Suite users, the right-click just got a helluva lot more useful. 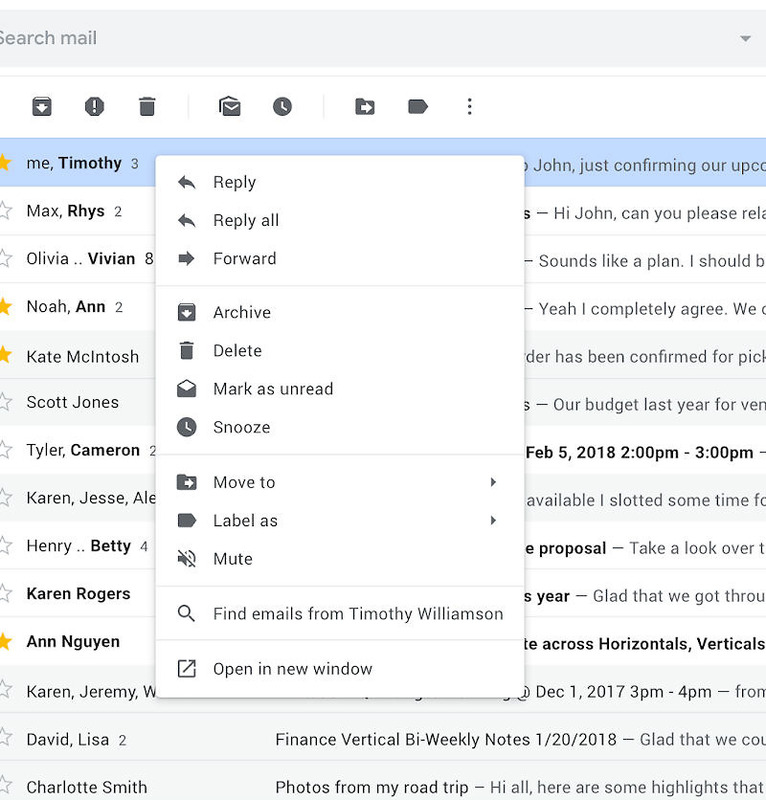 As you can see in the header image above, a right-click in Gmail will now offer a ton of options, including Reply, Reply All, Forward, Move to, Label access, and plenty more. Basically, anything you could do from within an email can now be done outside of the email with a right-click. It’s a small change, but very welcomed. According to Google, this change will first be available to users of G Suite. Should all go well, it’ll likely hit regular Gmail accounts shortly after.